RAF Metheringham is located ten miles South East of Lincoln. The airfield was built for 5 Group Bomber Command in the winter in 1942 - 43. Metheringham is one of a number of airfields located in the area, others being, Woodhall Spa, Coningsby, Digby and Bardney. RAF Metheringham was a standard bomber airfield and was given only limited support buildings, which included two T.2 hangars. All three runways were of standard length, with most of the dispersals located on the eastern side. 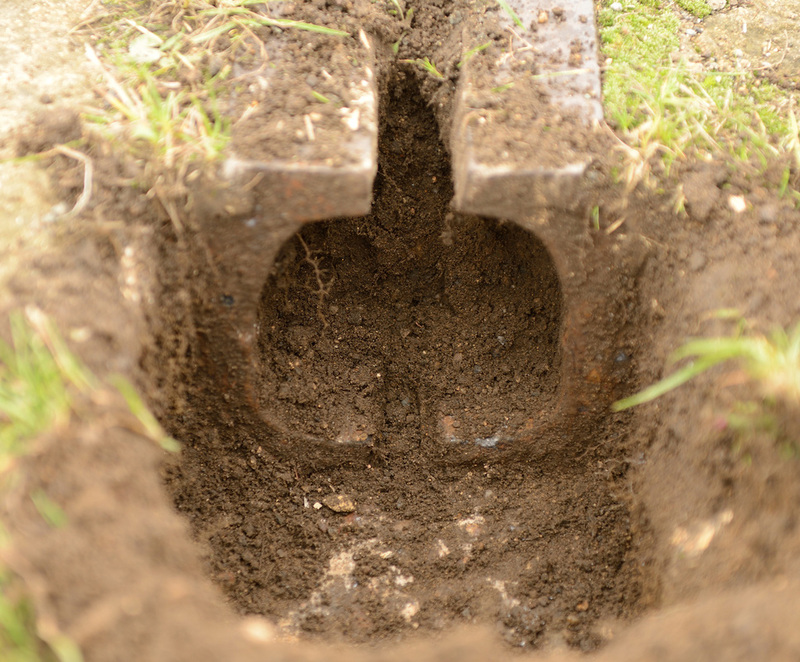 There was an extensive bomb dump located on the north – west corner of the field. The main group of buildings were located on the south west side, whilst the communal site was located to the south and west. The airfield itself is very flat and open to the elements. One can only imagine how cold it was for ground crews to be working out in the open on the dispersals in winter. There is very little to stop the wind from the North Sea whipping in and freezing everything in its path. The airfield opened for operations in October 1943 and station staff worked hard to get the field ready for Metheringham’s only resident squadron during wartime, No 106. On 11 November 1943, 106 arrived at the airfield with their Avro Lancasters and within a week were undertaking operations. Thirteen 106 Lancasters joined a force of 440 other aircraft for a raid to Berlin. Luck was with 106 and all aircraft returned from the raid. Aircraft from 106 again flew to Berlin four nights later, and again the following night. Again, all the Lancasters returned to Metheringham. The spell of good luck however, ran out on the night of 26 November 1943 when a Lancaster, flown by FO J.Hoboken DFC, was shot down by flak near Frankfurt. All the crew were lost. No 106 continued to fly against Berlin but were blessed in that they had the lowest casualty rate of any Lancaster squadron in Lincolnshire at the time. In nine raids 106 lost eight aircraft which was much lower than other squadrons in the area . On the night of 30 & 31 March 1944 the RAF undertook the most costly raid in terms of aircraft lost in its history. Bomber Command lost ninety six aircraft in the raid with No 106 being hard hit. Four aircraft were lost, three were shot down by night fighters, whilst a fourth crash landed at Manston in Kent. Twenty one crew members were lost from the three aircraft that were shot down. RAF Metheringham was one airfield from which a Victoria Cross was won. On 30 April 1944 Flight Engineer Norman Jackson took off on a mission to Schweinfurt. During the mission Jackson's aircraft was attacked by a nightfighter which set fire to the starboard inner engine. Jackson activated the internal extinguisher but this was ineffective. There was a danger that the fire would spread to the aircraft's fuel tanks. Jackson knew there was only thing to be done and that was to actually go outside and put the fire out. He grabbed a fire extinguisher and with the bomb aimer and navigator holding onto Jackson’s parachute chords, climbed out of the upper escape hatch into the 200 mph slipstream. Jackson proceeded to lower himself onto the starboard wing. He crawled towards the burning engine where he proceeded to extinguish the fire. As Jackson edged back towards safety, the Lancaster was again attacked by a nightfighter. The attack injured Jackson in the legs and the engine again burst into flames which caught him. Jackson lost his grip and was flung into the aircraft's slipstream. Inside the aircraft, the crew could see what was happening so they played out Jackson’s parachute and let go. Luckily the chute opened and Jackson landed heavily in a thicket bush. He was captured by German civilians and force marched to the nearest town which was some ten miles distant. Here he was finally taken to hospital and was there for the next ten months. 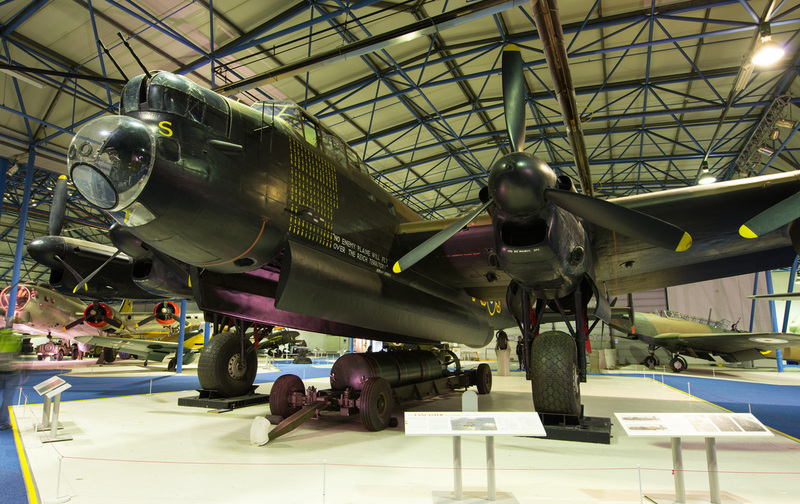 The story of Jackson's bravery did not emerge until the end of the war when surviving members of the Lancaster’s crew were released from captivity. So it was on 13 November 1945 that Jackson received his Victoria Cross from King George VI at Buckingham Palace. During 1944 Lancaster B.III Type 464 Provisioning ED932 AJ-G (flown by Wg Cdr Guy Gibson) was at Metheringham being used as a training aircraft, it is also known that Lancaster ED906 AJ-J (flown by F/Lt D J H Maltby) spent time at the airfield in a similar role. The significance of these aircraft was not appreciated at the war's end and both were scrapped. The control yokes from the aircraft are known to survive and one is located at the Lincolnshire Aviation Heritage Centre East Kirkby. One of the worst enemies of bomber crews was fog. In order to overcome this, fog dispersal equipment, known as FIDO was installed at selected airfields. Metheringham was one such airfield where FIDO was utilised with the installation taking place in January 1944. By May the system was in place with a Lancaster of No 106, that had engine trouble following a raid on Tours, being the first aircraft to use FIDO at Metheringham. The FIDO equipment needed a huge amount of fuel to work effectively and was supplied by a pipeline that ran from railway sidings at Blankney. This fed storage tanks that were located at the airfield. The system was not without its drawbacks. Whilst it cleared fog it also generated a huge amount of lift through heat which was not conducive to landing aircraft. It became necessary to fly the Lancaster onto the runway as opposed to just cutting the power and dropping down and landing. Trying this method would mean the Lancaster simply floated and would not land. There were incidents whilst using FIDO and there was an incident involving a No 83 Squadron Lancaster at Metheringham. The aircraft crashed killing all crew members as it attempted to land in foggy conditions. Part of Metheringham's FIDO system is still in place part of which is shown on the left. These rails are located at runway intersections to afford protection to the fuel carrying pipelines. No 106’s last raid of the war took place on the night of 25 – 26 April 1945. Fourteen Lancasters from Metheringham joined fellow 5 Group Lancasters to bomb Vallo Oil Refinery near Tonsberg in Norway. This was the final raid of the war carried out by Lincolnshire based Lancasters. No 106 was the only operational squadron to use Metheringham, however, No 1690 Bomber Defence Training Flight moved in from Scampton in the autumn of 1944. The Flight flew Spitfires and Martinets and provided fighter affiliation training for No 5 Group. ​In June 1945 No 467 Squadron arrived and began training for Far Eastern operations but with the end of the conflict with Japan, were soon declared redundant and disbanded on 30 September 1945. During its time at Metheringham 467 had a famous Lancaster within it ranks. B.1 R5868 completed one hundred and thirty seven missions over Europe and went on to be preserved at the Royal Air Force Museum Hendon. A further arrival took place during the afternoon of 15 October 1945. No 189 Squadron, with seventeen Lancasters attempted to land at Metheringham but visibility was poor so permission was granted to light FIDO. All the Lancasters landed safely but their stay was short with the Squadron disbanding on 20 November 1945. In February 1946, No 106 dispanded at Metheringham and the airfield closed. No 106 had won a total 267 decorations and one VC. One Hundred & Eighty Seven aircraft were lost whilst flying operations from Metheringham.